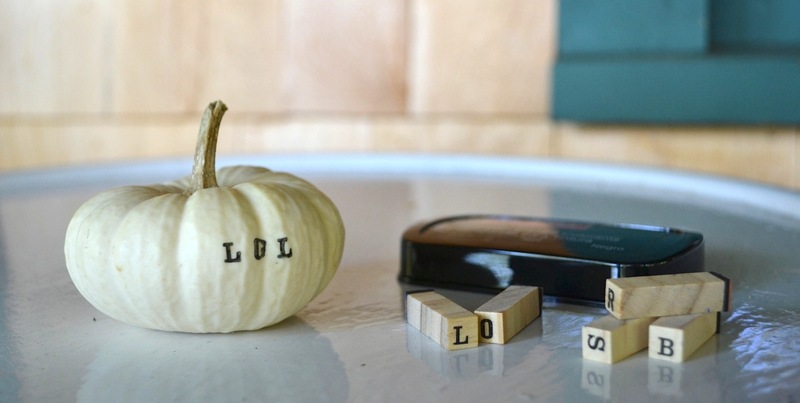 To celebrate the arrival of October, we’re featuring an incredibly easy (and somewhat sassy) fall DIY. 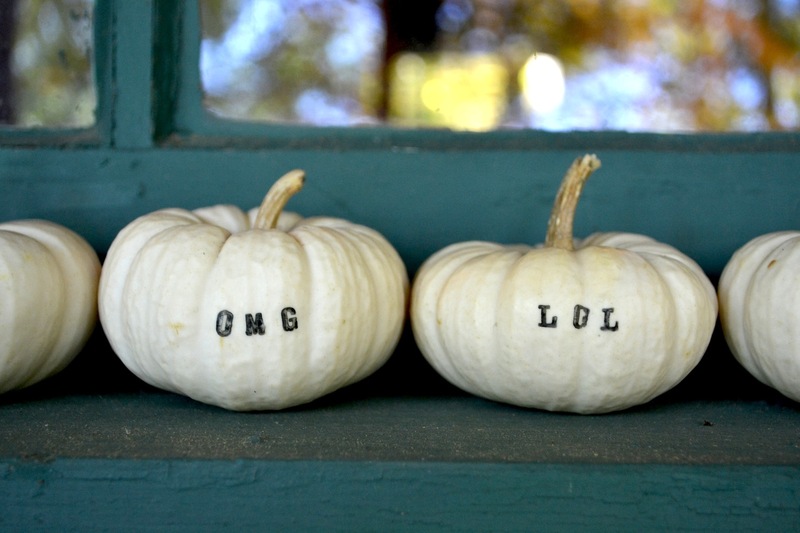 Last year my friend Eileen, queen of crafts, decorated her apartment with small stamped pumpkins that were too adorable. She’s on today to show us how to make them for the upcoming season. All you have to do is pick your phrases, carefully line up the stamps, avoiding the grooves, and stamp away! 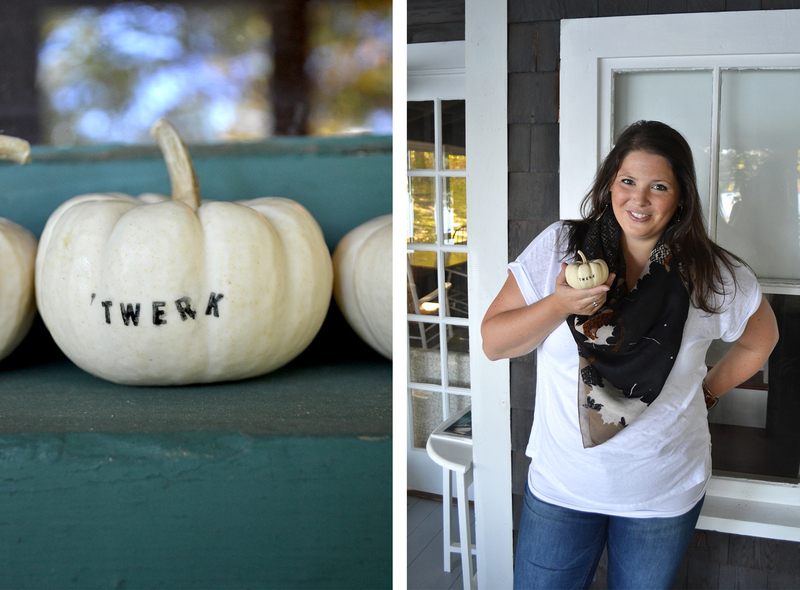 For our phrases we went with “omg, lol, twerk, wtf, boo!, and p&c,” but the options are endless! October is one of my favorite months and I’m so happy to have these little guys lined up on the windowsill already. Have you already picked up fall decorations?